Kathleen J. Corbalis, APR, an award-winning communicator with more than 30 years of experience in non-profit public relations, marketing and fundraising, joined BAS as interim executive director in December, 2018. 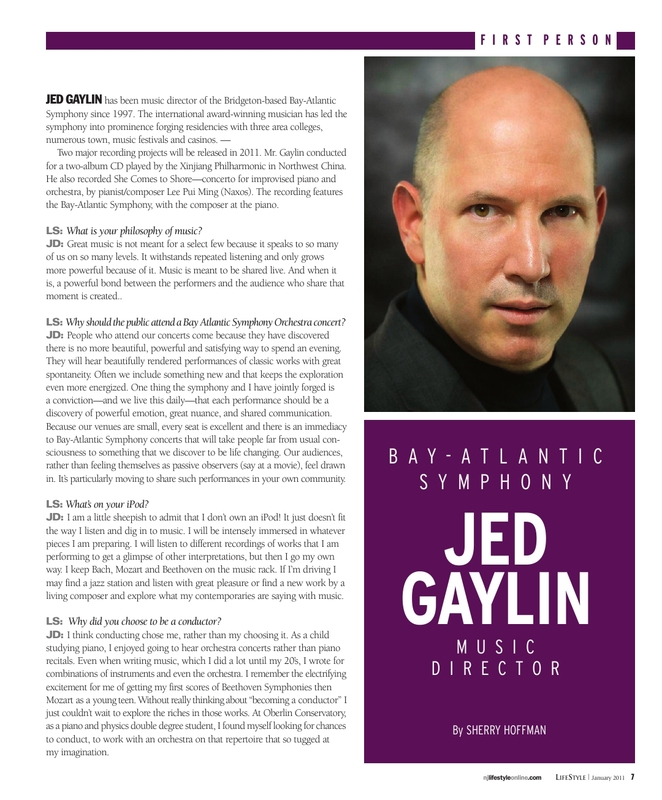 She discovered the “cultural jewel” that is the Bay Atlantic Symphony several years ago and was delighted to join the organization to help guide its future. Long a lover of live music performances, Corbalis is also passionate about the symphony’s mission of bringing music education and concerts to area children who might not otherwise have the opportunity to experience live symphonic music. Corbalis retired in 2013 after nearly 30 years as executive director of college relations at Atlantic Cape Community College (N.J.) and since that time has served as project manager and social media manager for the National Council for Marketing and Public Relations (NCMPR) and president of Kathleen Corbalis Communications. In that capacity, she has prepared marketing and PR plans for higher education organizations, consulted with non-profits and worked with fine art clients. A member of the NCMPR national Board of Directors from 2006 to 2013, Corbalis has won more than 100 professional awards and has presented at numerous district and national conferences. She has written op-eds and articles that have appeared in the Philadelphia Inquirer, Press of Atlantic City, NCMPR Counsel and Community College Times. While at Atlantic Cape Community College, Corbalis founded and ran a successful contemporary folk music series held in the college’s on-campus gourmet restaurant. The Careme’s Café Series ran for nearly 20 years and was consistently sold out. She is a long-time member and former chairperson of the Community FoodBank of New Jersey-Southern Branch Advisory Board; scholarship vice president of the PR Council of Greater Atlantic City; and mentor to undergraduate and graduate PR students at Stockton and Rowan universities. A former print reporter and editor, she holds a bachelor's degree in newspaper journalism from Syracuse University's Newhouse School of Public Communications and a master's degree in communication from Glassboro State College (now Rowan University). Corbalis earned the Accredited in Public Relations (APR) designation in 2011. She and her husband, Mark, live in Galloway Township, N.J. In her leisure time, Kathy enjoys yoga, bird-watching and travel where she always makes time to take in a symphony performance.